Raised marking is used across multiple industries such as the automotive sector for applications which require a surface mark to still be visible after the work piece is painted. One of the key uses for a mark which is visible after painting is producing barcodes or data matrices for security and traceability. The aim of the process is to produce a raised mark which can be read after painting. 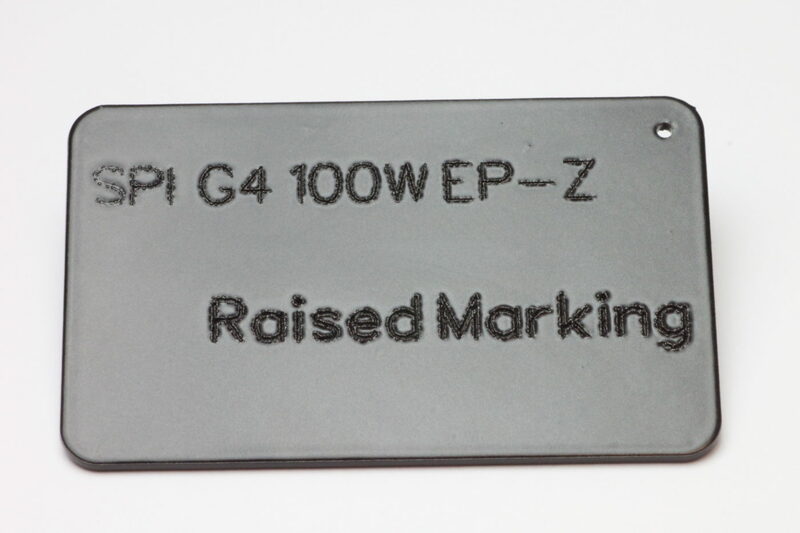 Using SPI’s G4 100W EP-Z with the parameters below, a raised mark was achieved in an extremely quick process time of just 1 second per character. This time depends on the height of the mark, which can be easily controlled by altering the parameters of this application. 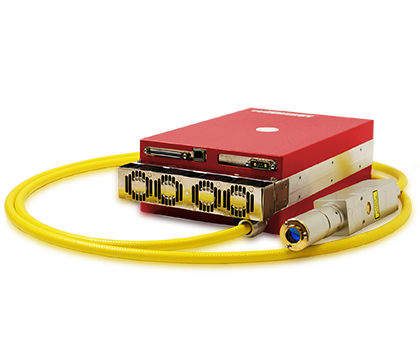 The maximum height of the mark can be as high as 500µm. This application can be achieved on a number of varying materials such as Mild Steel, Copper, Aluminium, Brass and Boron Steel. Furthermore, this process does not require any gas assistance.